Butterfly Mania | Hey Bernice! I have a thing for butterflies at the moment – maybe it has something to do with the current metamorphosis my life is undertaking right now. We have sold our home in the city (Melbourne), and bought a block of land within a golf course, about 800m from the beach in Torquay (all in the one week). Hence the reason I have been a little quite lately. 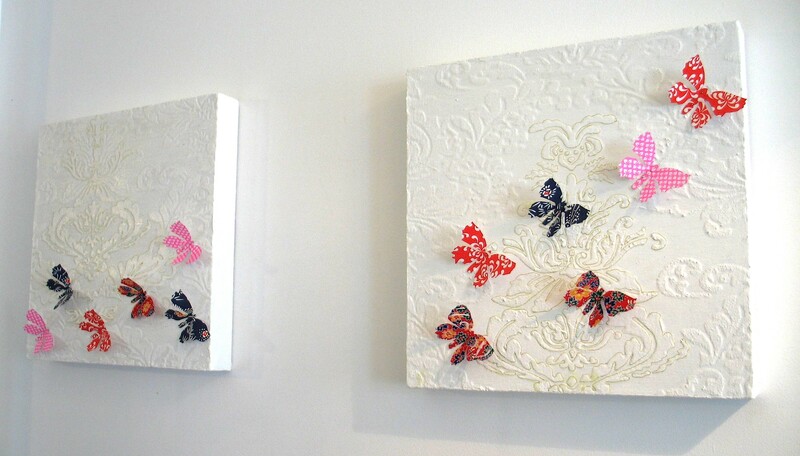 My most recent wall decorations were inspired by my many butterfly sightings (in life, my sister’s creation, magazines, on Made It, and various international artists). 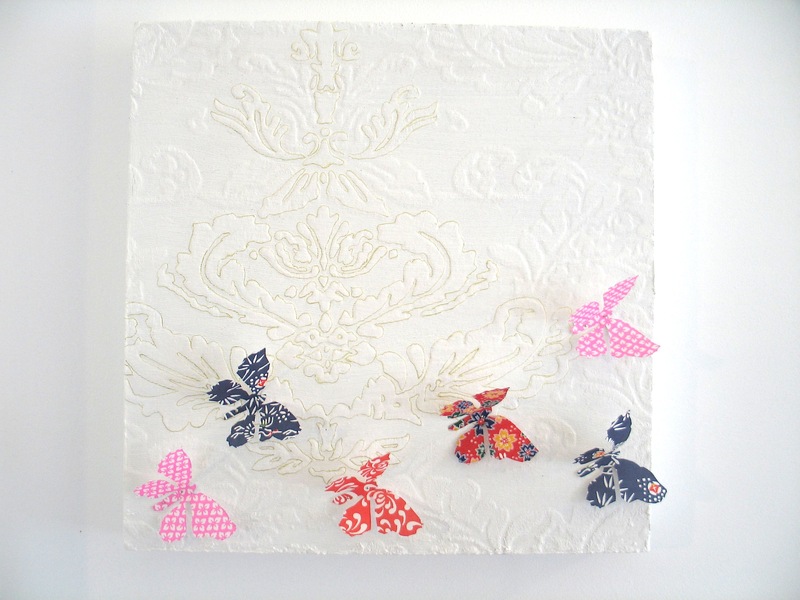 I used Asian patterned paper to cut out Butterflies. My sister had actually made me a canvas in this way before, and was the donator of the Asian paper. 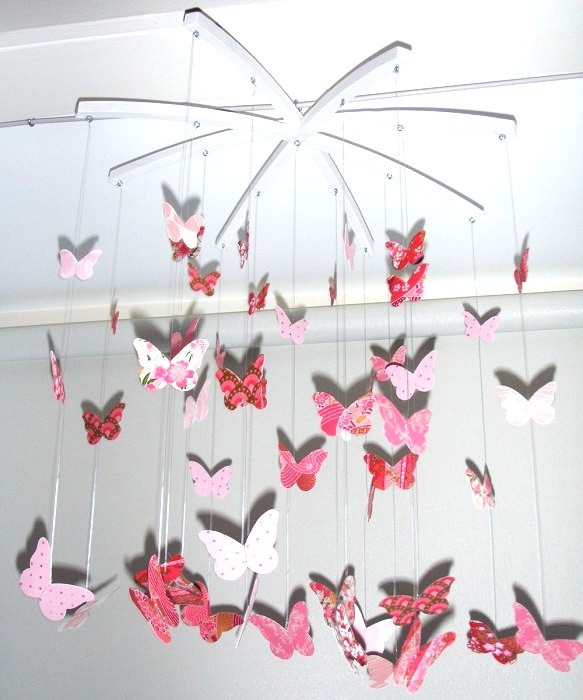 This Little Fish Creations butterfly mobile is simply stunning, and perfect for the babies nursery. You can buy these on Made it. 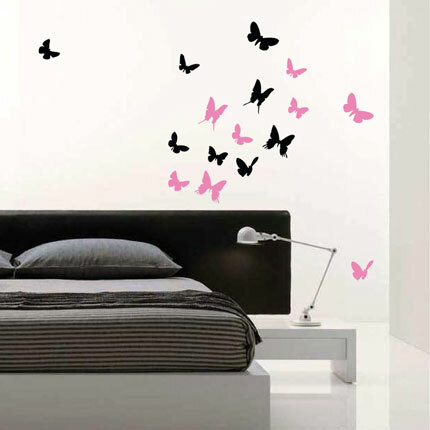 If you want to invite butterflies in your home then Vinyl Design wall stickers are the perfect way to do this without damaging your wall. These too are also available on Made It. 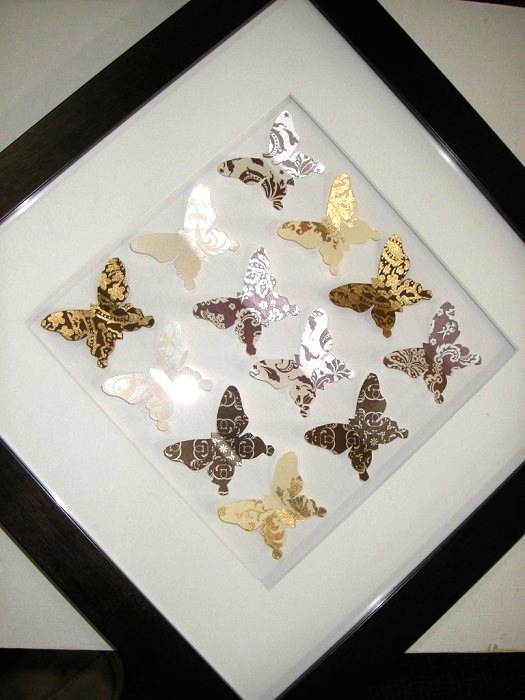 Almond Tree Frames sell these beautiful paper butterfly frames in various patterns and colours. Another Made It Artist. 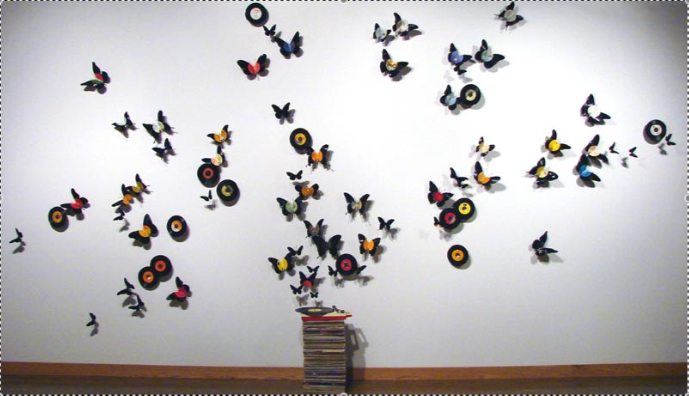 Paul Villinski is a New York based artist whose “pieces explore themes of transformation and recovery through the metamorphosis of crushed beer cans from the streets of New York into flocks of realistically crafted butterflies.” Below are two examples of his brilliant work using vinyl records and aluminum cans. You must now understand why I had to try my hand at butterflies? 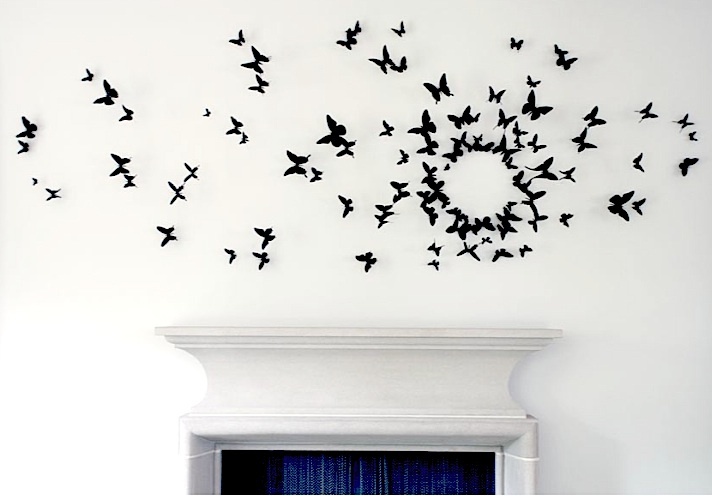 They are simply stunning as a feature in the home. I used 2 canvases 30cm x 30cm (12″ x 12″). To add a little more to the background I searched for some material with a textured pattern to glue to the canvas. In this instance I chose a thin synthetic satin material that had a velvet raised pattern on it. After gluing the material to the canvas (just to the front, not the sides) I then primed the material with Gesso (used to prepare materials for painting) when the glue had dried . It required several coats because the material was absorbing the paint, and the colour of the material was showing through. Several coats also ensured that you could not tell that the raised pattern was velvet. To emphasize the pattern on the material I used a fine gold pen to trace around the edges of the velvet raised pattern. To attach the butterflies it is better to pin them instead of gluing or taping. I used short dress making pins, whilst they are exposed at the back of the canvas, they are very short, and if the canvas is hanging on the wall no-one should get injured! So how did I cut out all the butterflies? 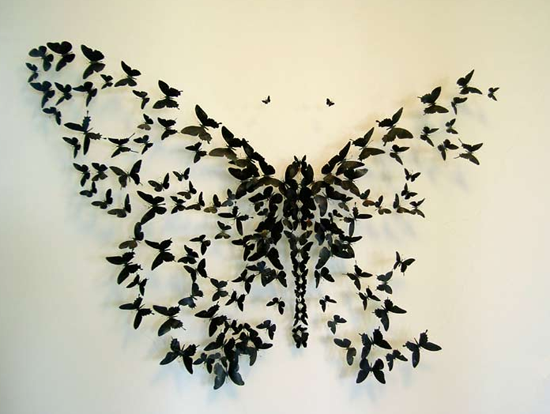 Some specialised tools will give you a clean and delicate finish when cutting the butterflies. I bought this interchangeable knife kit from a craft shop, along with the plastic butterfly stencil. 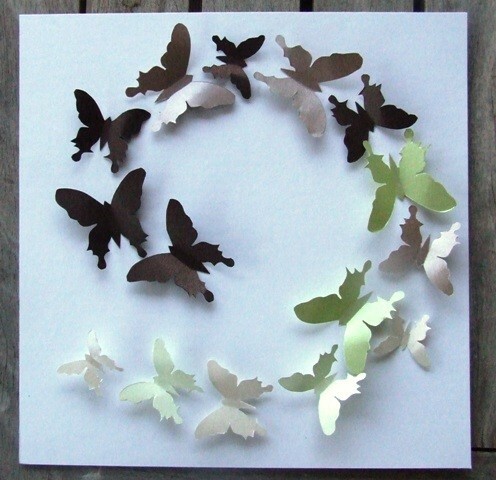 Alternatively you can search for butterflies on Google images, and print out something you like to use as a template. 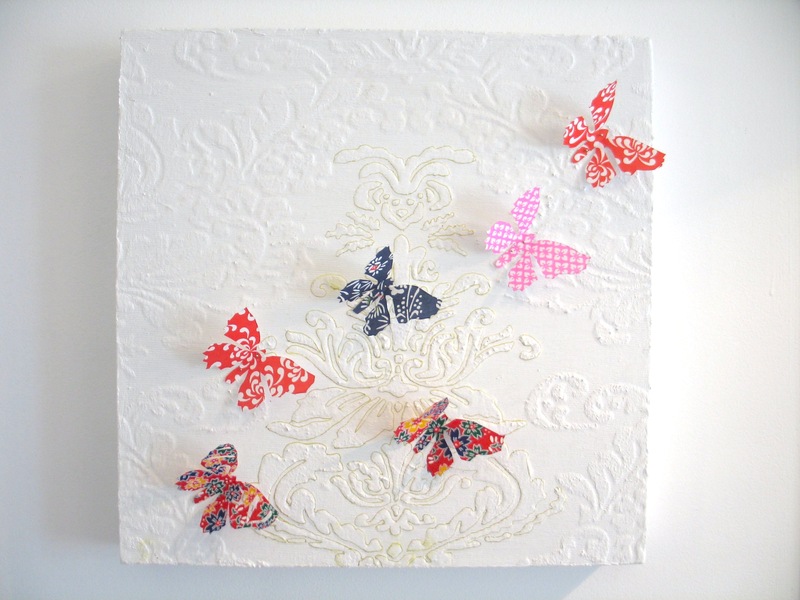 There are so many way you can use butterflies in artwork, another alternative is setting them in a box frame like ALmond Tree Frames have done. Or attach them directly to the wall with wire, like Paul Villinski above. However you bring them into your home – they create a very special feel … something magical and mysterious. Thanks! It does look a little like I am obsessed…. 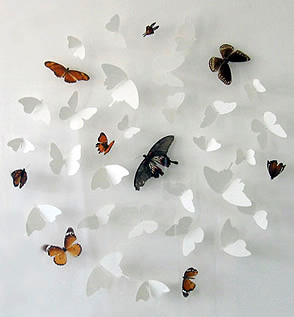 Thank you so much for featuring my butterfly mobiles – much appreciated!! What a great collection of butterfly items!! No problem – they are just beautiful, and deserve to be ‘shown off’.